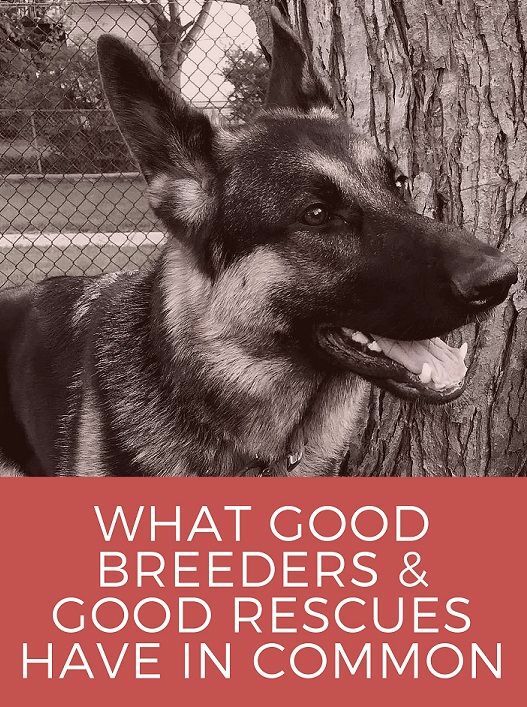 What Do Good Breeders & Good Rescues Have in Common? Note: Thank you to one of my readers, “KL,” for contributing this essay. When adding a dog to the family, the question of source may be fraught with peril. Family and friends will weigh in, often passionately. 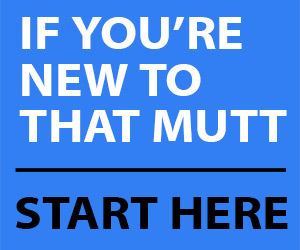 Look online at dog sites and you’ll find essays, editorials and even heated arguments regarding the merits and morality of breeder vs. rescue. After you bring your dog home, you’ll get comments (a friend told a coworker that she rescued and the response was an approving, “Good”; my breeder pup elicited surprisingly nasty input from total strangers). I’ve had three years to process my reactions to the debate, as well as my online reading on the topic and my own experiences getting to know both good breeders and a good rescue group. My conclusion is there are good and bad in both camps, and that despite what some people might say, a good breeder and a good rescue have a fair amount in common. A wealth of articles exists listing signs of a good breeder or good rescue. I do not believe that the criteria on these lists are all true. There are excellent articles debunking these “Things All Reputable Breeders Will Do No Matter What” myths (see: Joanna Kimball’s, “The ‘Signs of a Backyard Breeder’ That Are Completely and Utterly Wrong”), so I won’t go there, but I have noticed that surprisingly few people discuss similarities. While the details look different and there are breeder-specific criteria and rescue-specific criteria that are beyond the scope of this piece, these similarities are greater than one might think. So what do good breeders and good rescues have in common? 1. They’re trying to be great matchmakers. Why do they want a dog of this type? What are their daily lives like? Who already lives in their home? What are their goals for the puppy? They want to match a puppy with the right temperament and right energy levels with each home. The work a knowledgeable breeder can do with taking this information and matching it up against what they know about a particular pedigree and what it’s likely to produce is nothing short of amazing. A good rescue’s matchmaking looks a little different because they’re evaluating the individual dogs in front of them rather than going on educated prediction, but they’re essentially doing the same thing: taking data given to them by their adoption applicants and trying to find just the right fit for each dog in their care. Both good rescues and good breeders want to make placements that are as permanent as possible, because it is in everyone’s best interests for the placement to be successful. 2. They’re supportive of owners. Before I even brought my puppy home, I was invited into an extended family of puppy buyers. At my fingertips were my breeder, owners of other puppies she’d bred or placed, and other future owners like myself. They were never any farther away than my Facebook account, which was a tremendous resource in terms of preparation and a great source of support and ideas after my puppy came home. Good rescue volunteers also stay in touch with adopters and facilitate a network of any interested new owners, both online and off. I see them at training workshops catching up with adopters, getting updates on the dogs, and offering support or pointers if needed. Both good breeders and good rescues are excited for new owners’ successes and when there are roadblocks, they can serve as a point of contact. If they can’t help directly, they can recommend someone who can. 3. They’re supportive of fellow breeders/fellow rescuers. Good breeders are collaborative and put the improvement of the breed they love above their own egos. They share information and work together on breedings. They cheer for each other’s dogs, even when they’re the competition. They may have different ideas of best practices, but they respect other breeders’ rights to make their choices and shape their breeding programs according to their values. Likewise, good rescues are in it for the dogs. They’ll be fine if another rescue pulls a dog first, as long as he’s safe. They might trade foster space or a transport when they can. They aren’t fighting over differences of opinion. For good breeders and good rescues, the interest is in the dogs, first and foremost. 4. And most of all, they’re supportive of each other. This is the most important to me personally, after the thought I’ve put into this issue. It was remarkable to me that even amid the vilification that comes their way from some in the pro-rescue camp, I have never heard one breeder, once, berate the practice of rescue or those who do it. Breeders can be a great resource for rescues – who is more of an expert on a particular breed than someone who has dedicated time, love, and effort to studying and raising them? While not every good breeder is personally involved with rescue, breed clubs can partner with rescues and open their resources to rescue owners as well as puppy buyers. Resources include training classes and workshops, club-hosted performance trials, dog sport contacts, and the simple act of welcoming these volunteers and owners as part of the larger group. 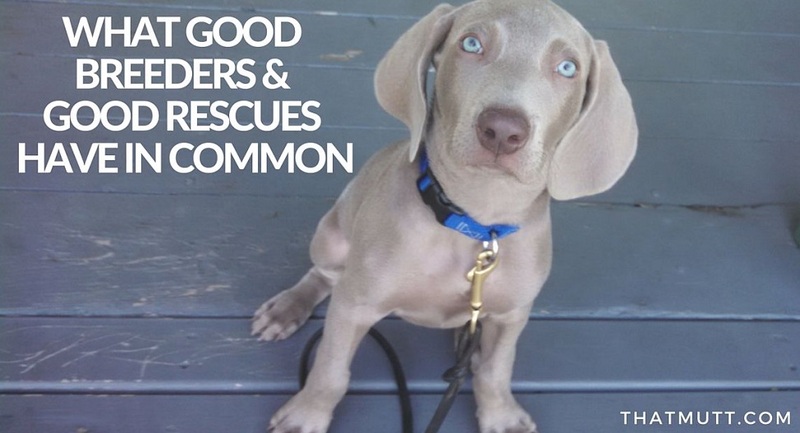 Good rescues, meanwhile, acknowledge the important role breeders play. This might mean recognizing the power of language and refraining from using divisive phrasing like, “Adopt don’t shop” in marketing or social media. It can mean inclusive foster/adoption policies allowing consideration of working, sport, or show homes with intact dogs. It might mean that when a scanned chip comes up with a breeder’s name, that breeder is their first phone call, no judgment; after all, the important thing is getting the dog to a safe place. It might mean including breeders on a board of directors and being willing to work with a breed club. The bottom line is that truly good rescues and truly good breeders will openly treat one another as partners, not pariahs. Thank you KL for sharing this essay! Good breeders and good rescues both care deeply about their dogs. They will take their dogs back if for whatever reason the new owners can no longer take care of them. Yes, even if it’s years later. I’m disgusted by shelters adopting out dangerous dogs who then go on and kill humans. The shelter workers should be held responsible and screen their dogs better. Yep, that’s what I would add to the list. Are you saying that breeders NEVER sell dogs that mat be dangerous ? Ridiculous. Would you hold the breeders responsible also ? And, where do you get your info ? Rescue dogs killing people ?? I suppose it can happen but most reputable shelters and rescues are very concerned about evaluating their dogs. Yes, we’re discussing the reputable shelters, rescues and breeders. They shouldn’t adopt out or sell dangerous dogs. I get my info from the news: a Rottweiler killing his new owner just hours after leaving the shelter, and a pit mix killing a 3 day old baby 5 months after leaving a humane society. So heartbreaking, and such a bad PR for responsible rescues and shelters. Better screening, better evaluation, better matching, especially for powerful breeds with unknown history. Yes, both shelters and breeders have a place. Both can provide an excellent dog for you to love. I chose to commit to rescues only, but in no way am I saying everyone should. Responsible breeders are a good thing, as they continue to improve whichever breed they are breeding. On the other hand, puppy mills and irresponsible backyard breeders should just go away! Lindsay, thank you again for publishing my piece! It was fun to write, and I hope your readers enjoy it. I should mention I purposely left off the willingness to take back a dog at any time, even years later, because I personally do not believe that is a requirement of a reputable breeder or rescue. But I should reiterate that this list is what I go by myself (and part of the information I use to evaluate which entities I would choose to support), not necessarily the opinion of anyone else. Anna, I had heard that in the news, that there have been some cases recently of deaths due to dog bites after an adoption. Very sad stories. Thank you for writing the piece, KL! 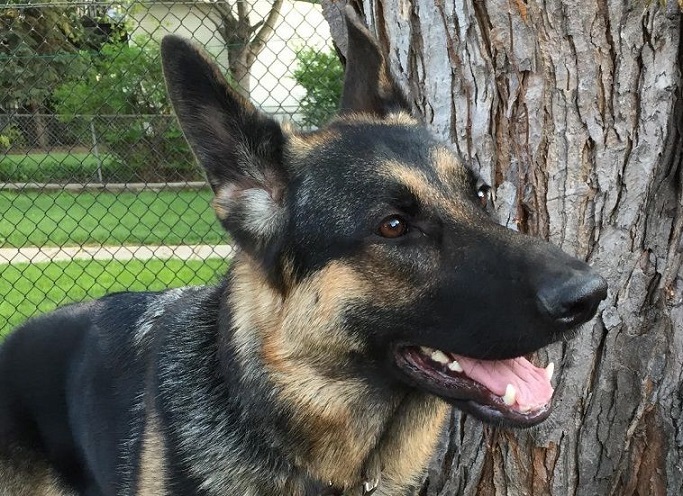 Is that your German Shepherd in the picture? Beautiful! That is her dog! So pretty! Thank you, Anna! Yes, that is my (sadly spoiled) girl in the photo! Thank you for contributing this post. They’re both willing to take back any dogs for any reason. The “taking back any dog for any reason” is something I deliberately excluded from my list. While this sounds nice, I’m reluctant to place this as a hard and fast criterion on all breeders. Breeders age, life circumstances change, this is not a terribly realistic or fair expectation of all breeders across the board. If I recall correctly, my own contract did not stipulate either way, so I would have the choice of whether to enlist my breeder’s help or rehome my dog privately if the worst happened and I could not keep her. However, my breeder will help place dogs in need. Some of them are not even dogs she has bred but are related to her lines. So to my mind, I’m personally uncomfortable “requiring” this as a criterion for what makes a breeder good, therefore it did not make this list. What bothers me is when breeders and rescues are like, “The dog MUST be returned to us.” That might be the best option and the right choice but I’ll leave it up to the dog’s owner where the dog should go. For example, if I ever have to re-home Remy and let’s say I have a friend or family member who would be a good home, I would think our breeder would also approve. I totally agree. I like the intent behind the safety net clause, but one size does not fit all. As it is, I’ve chosen to let people know my girl so that if I need to rehome her, I have a network of people who know the breed, know her as an individual, and might be able to help me. Because I’m a control freak, I feel more comfortable with this.